Our company, “Better Body Bariatric”, represents bariatric surgeons in Tijuana, Mexico. Although our surgeons have a lot of experience with various types of bariatric surgery for weight loss, such as the gastric bypass, and gastric banding, the most common surgery that he does is the vertical gastric sleeve. The gastric sleeve surgery has the highest success rate, and is less invasive, as it is an arthroscopic surgery. The feelings of hunger are greatly reduced, as is the volume of food that can be consumed. Also the metabolism remains high, so that the patient burns calories at a higher rate. A patient will need to come to Tijuana, Mexico for the surgery, and we can help you get to Tijuana from the San Diego airport. Gastric Sleeve Surgery, aka Vertical Sleeve Gastrectomy, is the best surgical option for weight loss, and is the most recommended procedure by bariatric surgeons. With this surgical procedure, the stomach volume is reduced by as much as 80%. Because it is a laparoscopic surgery, it requires only four small incisions, and leaves minimal scaring. The procedure involves removing the side part of the stomach, leaving a “sleeve”, a much narrower stomach pouch, thus reducing volume, but leaving a fully functional stomach (see diagram). 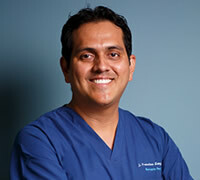 Dr. Francisco Zavalza is a trusted and experienced Bariatric Surgeon in Tijuana, Mexico. In 2006 Dr. Zavalza graduated with honors from one of the most highly ranked medical schools in Mexico – the University of Guadalajara, Jalisco. Having chosen bariatric surgery as his specialization, Dr. Zavalza received a Diploma in Avdanced Laparoscopic Surgery in 2010. As of today Dr. Francisco Zavalza has performed and assisted to more than 3000 bariatric surgeries, and has given a chance to have a much healthier and satisfying life to many of his patients. 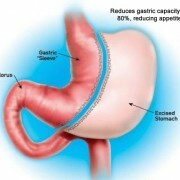 Why is Gastric Sleeve Surgery Performed? • Scarring is reduced due to laparoscopic surgery. • There is no risk of “dumping syndrome”. • Should the required weight loss percentage not be achieved, the patient can undergo gastric bypass surgery. Because this surgery drastically reduces the volume of food that can enter the stomach at a time, the patient cannot eat very large amounts. The patient will need to eat very small meals, every 3 hours. Eating less food, more frequently, the patient will lose weight at a healthy rate. The stomach produces a hormone called “Ghrelin”, which stimulates appetite in the brain. By removing the main part of the stomach, a lesser amount of “Ghrelin” is produced. With lowered levels of Ghrelin, the patient does not feel such a strong urge to eat, and it also makes it easy to be satisfied with the small amounts of food consumed at a meal. After a while the patient is so used to eating small amounts, and having dropped so much weight so easily, they would never want to go back to over eating. 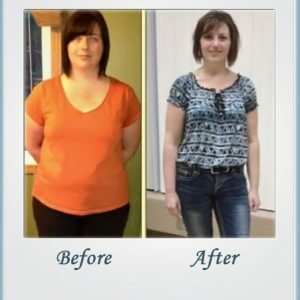 eatingThe greatest advantage of gastric sleeve surgery, compared to dieting, is that with dieting, you are constantly fighting the urge to eat, because your ghrelin levels are high, the stomach is constantly sending hunger signals to the brain. Also with the high ghrelin levels, one feels weak and tired, because it triggers the mechanism of the body to slow down your metabolism. It makes dieting like a form of torture, and so people fall off the wagon easily. But with the gastric sleeve surgery, you don’t feel out of control urges to eat, your metabolism doesn’t slow down, and you don’t feel weak and tired so easily. It honestly makes losing weight much easier. This is also the reason why many people may lose a certain amount of weight while dieting, but once the diet is over, the person is bound to eating the same amount of food before the diet was started. In some cases, more food is consumed to compensate for the time that the body was placed on a diet. 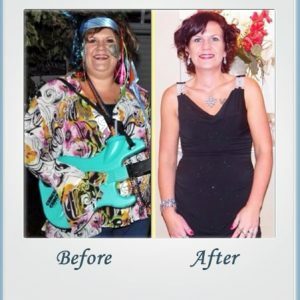 As a result, weight loss through dieting is often not permanent, unlike weight loss through gastric sleeve surgery. In 1999, Japanese scientists discovered the ghrelin hormones. Later on, it was confirmed by American researchers that these hormones were directly responsible for driving appetite. To date, ghrelin is known as the only hormone that produces this effect. In 2009, CBS did a documentary about the ghrelin hormone during one of their 60 Minutes episodes. 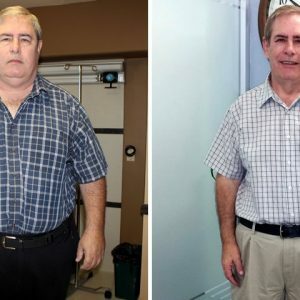 On that episode, they recalled the experience of a certain Jim Rudolph who had initially weighed 460 lbs, but was able to reduce that by 190 lbs after a gastric reduction surgery. 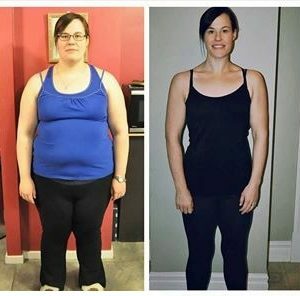 Although a drastic stomach reduction played a big role in his weight loss, it was then determined that loss of appetite was another factor. Rudolph mentioned that he no longer felt the urge to eat large amounts of food. This was because the body was no longer producing the ghrelin hormones that enter into the blood stream and informs the brain that the body needs to eat. Another surprising fact about ghrelin is that the level of these hormones actually increases when a person goes on a diet. Naturally, with more of these hormones present in the blood stream, the dieter will continuously experience the feeling of hunger. 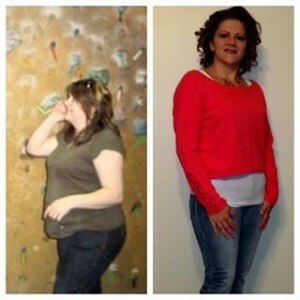 This is the reason why diets often fail and the dieter quickly regains any lost weight. With gastric sleeve surgery, the patient will be able to lose weight permanently due to the reduction of the stomach’s capacity and less production of the ghrelin hormones that are directly responsible for increasing appetite. *Cash only price. Additional 5% fee for non-cash payments (money order, cashiers check or Paypal).